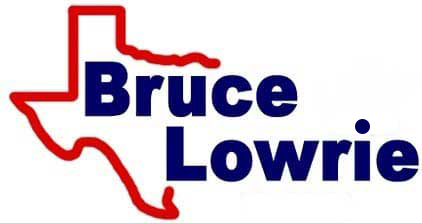 Mansfield, Texas, drivers shop our new and used Chevrolet dealership for a variety of reasons, including our competitive prices, tailored shopping plans and stress-free environment, so if you have an auto need, don't hesitate to visit our Bruce Lowrie Chevrolet team in Fort Worth! As our auto dealer stocks new cars for sale, as well as a variety of pre-owned options, motorists of all needs and budgets can find just what they're looking for here at Bruce Lowrie Chevrolet. Shop our new selections with help from our auto sales department if you'd like to learn about the latest Corvette or Malibu model to hit the market, or shop use our interactive webs to explore our used cars for sale right now! Looking for a competitive auto loan near Mansfield, TX so that you can drive off our Chevrolet car lot behind the wheel of one of our Tahoe models? Team up with our Bruce Lowrie Chevrolet loan center! We work with car shoppers of all credit scores, so complete one of our credit applications whether you have a healthy credit score or hold a sub-prime rating; we're here to introduce you to the budget-friendly terms you can put to use! Our on-site Chevrolet service center can assist drivers of all auto brands, so drop by for professional maintenance care that is completed by a certified technician. We have a variety of service specials to put to use; browse them all online before booking a service appointment. Our new and used Chevrolet dealership near Arlington, Texas, also carries a range of original equipment manufacturer parts for sale, so if you're in need of authentic components so you can complete work on your Chevy Silverado 1500 truck at home, order OEM items from our staff now! Head east on E Broad St. toward Pond St.
Exit toward Farm to Market Rd. 731/Crowley Rd./James Ave.
We look forward to helping with all of your purchase, trade-in and maintenance needs!